Well-groomed hairstyles have seeped back into men’s fashion. Less and less do you see guys growing out their hair to abnormal lengths, putting dreadful braids in their hair, or worse, getting dreadlocks. Nope, no matter what your overall look is about, hipster or finance bro, punk or hip-hop, artist or lawyer, there is always room for a classically cut hairstyle. These days you see men in LA and other cities harkening back to the OG days of great hair cuts, the 1950’s. James Deen, Marlon Brando, and Cary Grant, now those guys had hair, and young guys now are taking note, bringing back that strong American look. Killer fades. Short as can be on the sides, a little more length on the top, how long the top should be depends on the hairstyle really. But of course, a barbershops aren’t just about a haircut. It’s a sanctuary. A place where men can go to relax, enjoy conversation, or zone out the entire world and lay back entirely within their own heads avoiding the external stressors they face on a day to day basis. Even better if they are zoning out while getting a straight raze. 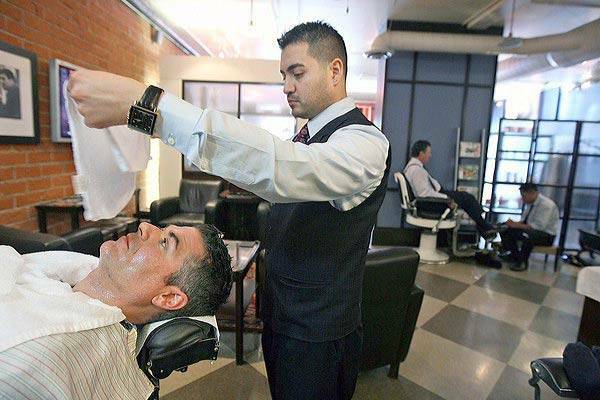 Fortunately, there are numerous barbershops in Los Angeles that are peddling great haircuts for any price range that also offer a serene break from your day. How much you want to spend to have pieces of your hair removed is up to you, but regardless of their prices all these barber shops you can rest assure that you’ll be leaving satisfied with your new fade, and also more relaxed and ready to face the stresses of your life. Ranked by Details Magazine as the best in the city, Shorty’s barber shop excels not only in great haircuts, but also a relaxed, inviting, and pleasurable environment. 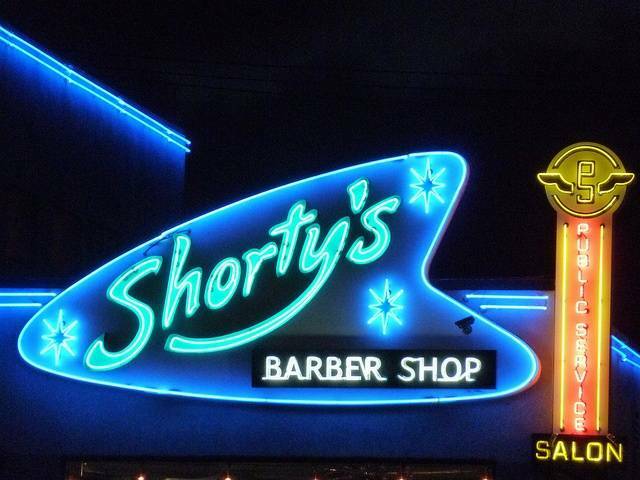 Their motto is, “Save the drama for your mama, come to Shorty’s for the low drama/high style experience.” Shorty’s has a large range of barbers and stylists, meaning you will have a good chance of finding someone who specializes in your cut. What more? While most barber shops cater to a male clientele exclusively, that isn’t how Shorty’s rolls. They do women’s cuts here as well, and even have specialists on hand who do color. This is a foreword thinking barber shop that hints at nostalgia while embracing future. 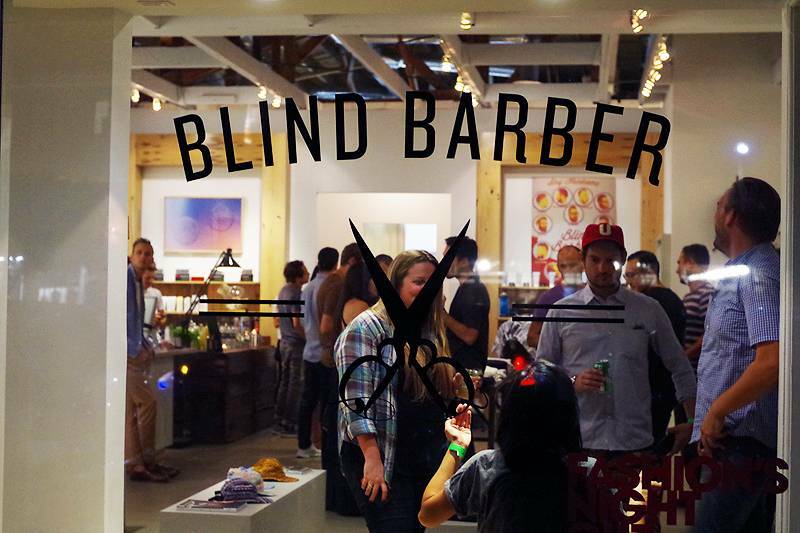 Not only are the barbers at Blind Barber not blind, they must have some sort of supernatural vision to shape a fade the way they do. Sort of a bi-coastal mini-chain of a barbershop with locations in Manhattan and Brooklyn as well, Blind Barber has become infamous for its’ barbers’ seriousness and artful craft applied to their cuts. But even that being said, the cuts are only one of the draws to Blind Barber. You can also get drunk there. Blind Barber doubles as a cocktail lounge, espousing the idea that the barber shop creates a club atmosphere, one where people can come and socialize in civilized community. Drink to that? Founder of this fine, old school establishment, Vinnie Morey, has been featured on Bravo’s Salon Takeover, and with good reason as this place has become the ideal place for the hipper and artsier of LA’s male populaton. Morey, and co-founder Trent Magano have combined their loves for street culture and modern art and applied it to their barbershop’s unique classic, old-timey aesthetic. If you are someone who reads Juxtapoz and Complex in your spare time while watching Rebel Without a Cause on repeat, this is the spot for you. Readers of this publication may be deterred by the hipper than thou, heavily tattooed barbers but please do not, these guys provide ace cuts. And with prices of $20 for a “first-time cut” and $25 for a “Proper Gentleman’s Haircut” it’s hardly a gamble to give these guys a shot. If variety is the spice of life, then consider these guys chile peppers. On their menu alone, Bolt Barbers offers an astounding number of cuts. Including a $30 shear cut, the $35 bald by choice shave, a $55 father-son special, and yes, a cut called “Hippy Hair” for $35 bucks, Bolt Barbers is the place to go if you are someone who likes to radically alter his hairstyle every now and then. They offer mullets, mohawks, military cuts, something college contour haircuts, phew, it’s easy to lose breath when reading their cut choices provided by their website. If you haven’t figured it out, Bolt Barbers cultivates a fun environment, and aside from the laid-back (but talented) approaches of their barbers, they also offer draft beer and what? A bowling alley? Yes, they have some lanes there to be used when waiting for your cut. 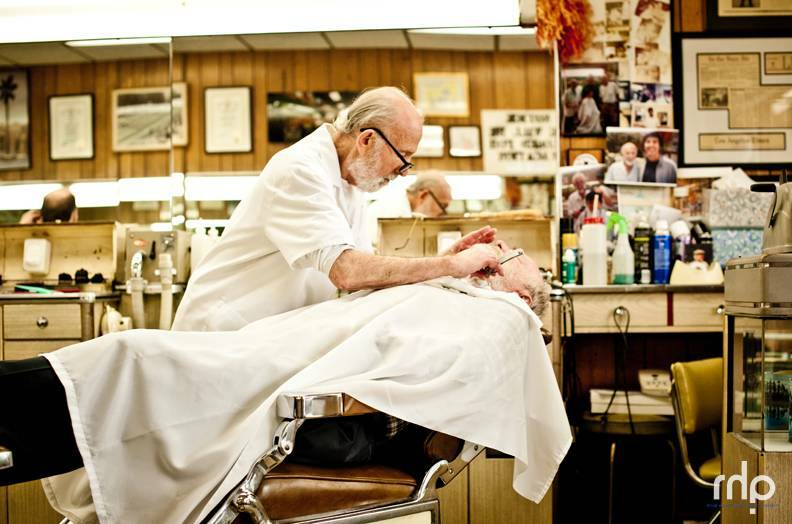 With a name so gleefully lifted from fiction’s favorite murderous barber, wouldn’t have to be an excellent shop, but that didn’t stop owner Sween Lahman from turning it into one when he bought the space in 2007. The theme here is old Hollywood, which also seems so amazingly obvious for an LA barber shop on Hollywood Blvd its a shock it took this long to go with it. The arrangements for appointment making are here are endearing. People schedule their appointment by simply walking in, writing their name in the order they walked in on an old whiteboard chalk board, and then can wait while reading some of the very old magazines and periodicals that serve as much for decoration as they do for entertainment. 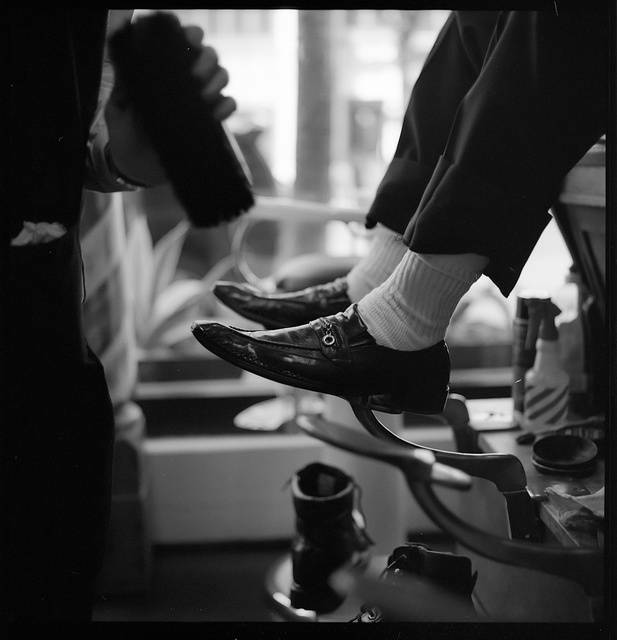 After getting a very precise cut, they also offer shoe shines on the way out, leaving you to feel that much more confident when you walk out the door. But what is the most unique aspect of this space? They throw Bachelor’s Parties here. If you run with a crowd of well-groomed rude boy friends, this could be a wonderful space for a low-key bachelor’s party. The parties treat you to shaves, cuts, beers and there is absolutely no way your fiancé can be mad at your afterwards. Gornik and Drucker is Beverly Hills’ oldest barber shop, and as you’d expect it holds no pretense of being an old timey, Americana-inspired shop. This place is classy, and expensive. Harry Drucker opened up the first space in 1936 and his clients included little known cultural figures like, you know, Frank Sinatra and Ronald Regan. In 1989 the shop joined forces with William Gornik who previously owned Rothchilds Barber Shop and had a not-too-shabby client list including Tony Curtis. That sort of pristine quality persists today as Gornik is still involved with the shop. Located in the Montage Beverly Hills Hotel the barber shop offers a powerful luxury experience. Unlike newer barber shops that go for an old look, Gornik and Drucker is an old name in barbering that is always updating, not averse to modernity. 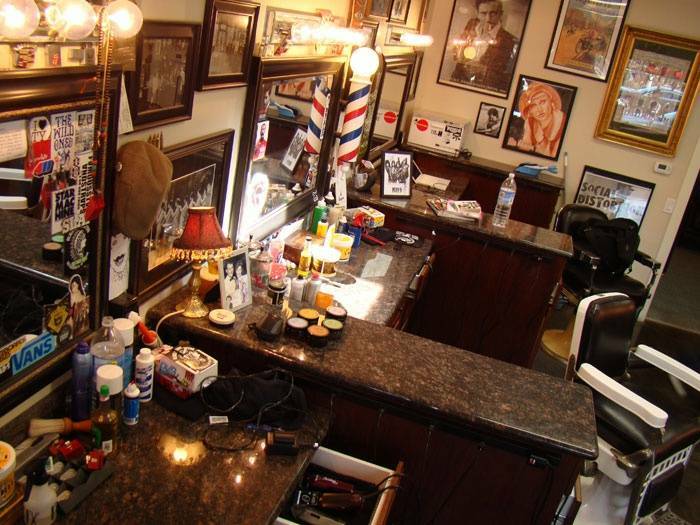 This is the barber shop of moguls, CEOs, executives, playboys, superagents, and the like. Most people would scoff at a $65 haircut, those are not the people that go to Gornik and Drucker.